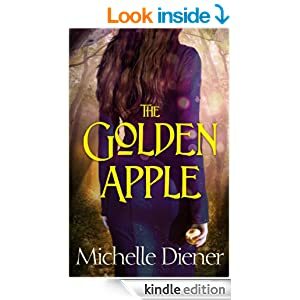 My first Michelle Diener book, although she’s written many, mostly historical, novels. This one is loosely based around the fairy tale “the princess on the glass hill” Its not a story I’ve read so the whole premise was new to me. As they cross the forest they come across lots of dangers, and they both learn more about each other. Gradually they begin to understand that each are not the person the other thought, that they were more than appears on the surface. The dangers mean they need to work together but that comes hard to Rane, he’s not used to it. They learn that there are threats to the kingdoms from sorcerers who are overusing magic, and creating more and more of the overspill dangers that reside in the Great Forest. I’ve always had a love for fairy tales – though I do want my HEA even in them 🙂 The magic here was interesting in the way it was used and created. Kayla wasn’t a snippy, spoiled princess but a person with heart and very adaptable. She’s learning more about her heritage on the journey from the people she meets. Rane, first I liked him then when I found out his betrayal I was upset with him. Then again, we all do things for family that maybe we wouldn’t otherwise. Kayla is angry but comes to understand his reasoning. I was a bit lost at the end….I’d got so into the story I wanted more, but luckily the sequel, The Silver Pear, will be out in autumn 2014. It’s priced at £2.49 for 298 pages so a decent length for the reader to really get “into” the story and characters. Its not breath taking fantasy, or heart stopping romance, more a gentle meander than a rip roaring ride. Stars: Four. Its an interesting book but a one off read for me.